Marlboro Lights Gold Cigarettes made under authority of Philip Morris Products SA. 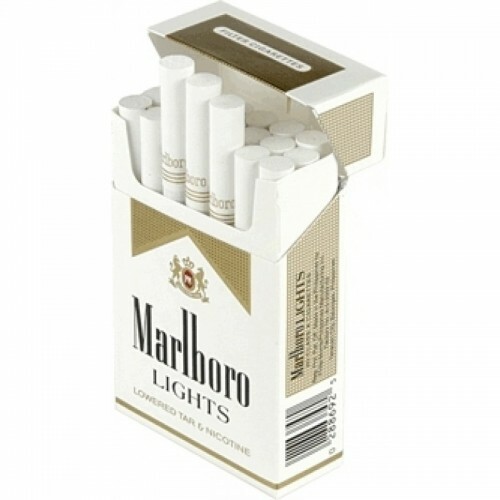 Marlboro Lights Gold Cigarettes are one of the most popular brands over the world. It's all due to its heavenly light blended tobacco and super smooth taste. Marlboro Lights are not very expensive cigarettes as one may think, but their quality is worth the price. Of course, there exists other cheap cigarettes, but we should not forget that we live once on this earth. And let us enjoy quality tobacco products. The Golden pack and superior taste makes you crave for more cheap Marlboro Lights cigarettes. The color of gold resembles of rich and happy life. This pack's color is a unisex color, so these cigarettes will satisfy both women and men's tastes and visual perception. They are convenient to carry in a pocket or in woman's clutch that is so fashionable today. Did you know that the brand was named after Great Marlborough Street, the location of its original London factory? London has always been a Mecca of fashion and sophisticated tastes. May be that is why we, on some levels of our consciousness we, when smoking Marlboro Light cigarettes refer us as a modern and experienced smokers. Or it is all due to the fertile and rich Virginia land where the Marlboro lights producing factory is located now. It is a pity, but from the January 2007, the product names denoting lightness can not be used. Tobacco companies are expected to change the names to standard "color" names: Marlboro Red (Original and strong), Marlboro Gold (Light), Marlboro Silver (Ultra Light). Those "color names" are already in use in the European Union. So, please carry in mind that the Gold Pack or Marlboro Gold means light version of this particular brand. 1 pack contains 20 cigarettes.